Vatika Sovereign Next is a high-class residential project, Strategically located in Sector 82A, Gurgaon. It’s offering air-conditioned 3 BHK and 4 BHK choices. These apartments are in different stages of construction and These Property are available via the builder. The project hosts only 225 apartments available with only 2 apartments per floor for sale purpose. Each unit measures between 2600 Sq. Ft to 5195 sq. ft will apartment appropriate wardrobe/dress spaces, en-suite toilets, and spacious balconies. 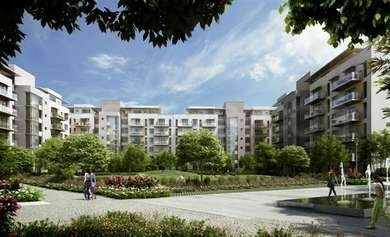 The Vatika Sovereign Next Resale cost of the flats range from Rs 2.2 crore to 4.3 crore. Vatika Sovereign Next Spread over 7.50 acres land township, the complex has facilities such as multipurpose room, covered parking, steam and sauna room, landscaped gardens, yoga center, Landscaped lawns, banquet hall and gate security with CCTV surveillance throughout. Vatika Group is a reputed real estate builder in Gurgaon and it has 31 projects to their name. 21 properties of theirs are under construction. Apartment easy to connected with Delhi Border, 19 kms from Dwarka Expressway, Metro Station, Bus Stop, Railway Station, 8 kms away from Rajiv Chowk, Sector-83, South Delhi, 25 kms from Indira Gandhi International (IGI) international airport or more.